According to Victorian tradition, a bride who borrows something from a woman who has been happily married will bring incredible luck into her own marriage. Aside from incorporating something old and something blue into a wedding ceremony, a bride-to-be must carefully consider what it is she can borrow from a beloved former bride, in order to seamlessly combine sentimentality with practicality. Receiving bridal jewelry from a mother, grandmother, aunt, or any other female relative near and dear to the bride has become a sort of custom on its own. 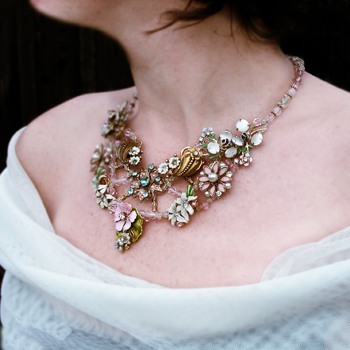 Many modern brides receive an entire jewelry set meant to be worn just for the wedding, or else key pieces, such as a brooch, tiara, ring, or necklace. The twist is that, when a younger bride in the future is in need of something borrowed for her own wedding, then the current bride should pass it on to her in turn. If the shoe fits…then why not wear it? More budget-minded brides do not splurge on new shoes to be worn for the wedding, especially if they are going to wear full-length gowns that cover the feet. Borrowing shoes is a practical way to ensure that more of the wedding budget goes to something else that’s more important…and visible. A hair pin or clip, a veil, or other small and inconspicuous items such as a hanky can be borrowed from a happily married lady. It is in both in keeping with tradition, and will not cost the bride a pretty penny. Veils, in particular, are great accessories to borrow because they are only meant to be worn during weddings, and can be returned to the owner after the ceremony. 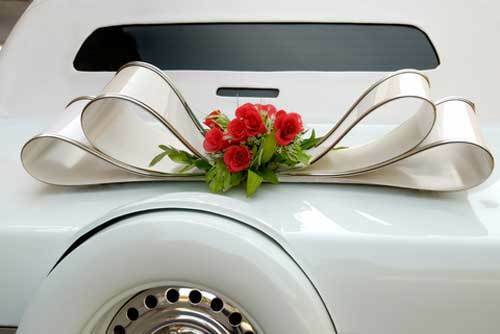 Renting a car for the wedding can add up to the expenses. If a close relative or friend has a white car, consider borrowing it for the occasion and sprucing it up with flowers and other trimmings. You can pay for the gas, the car wash, and the driver for the day, but you will definitely save a lot on car rental. 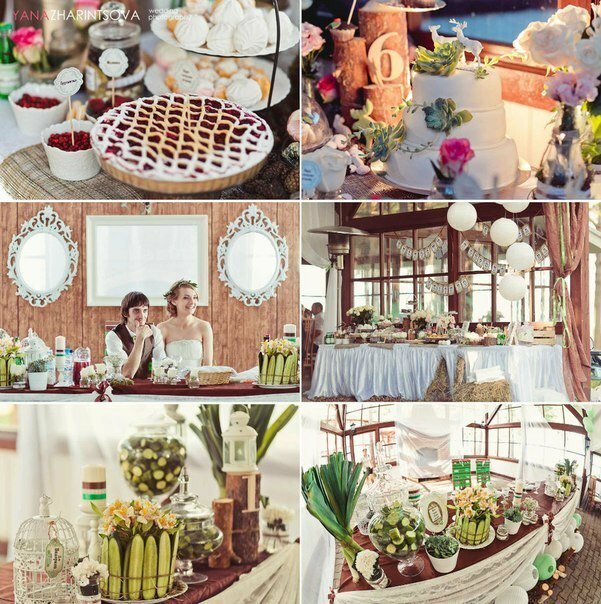 A wedding motif or theme is arguably the most borrowed item in the list. The wedding styles of celebrities you love, or perhaps scenes from a movie or television show, or even your favorite literary or art references can inspire you to come up with your own wedding theme. Inspiration is everywhere. You simply have to borrow key elements from them, then add your own preferences and personality to come up with something truly yours.